Welcome to Married Life: Wordless Wednesday: Spring! There are lots of green things poking up in my yard (not all of them weeds!) and these are the first spots of color I've seen. Yay for spring! Hooray! 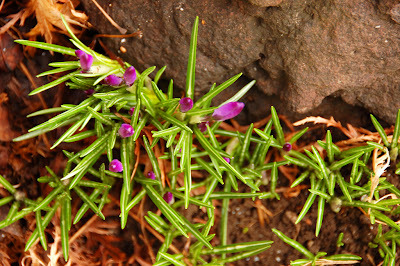 that is one good thing about all the rain rain rain we have had lately - I have noticed little flowers here and there. Come on spring! Are these from the bulbs I gave you? Cool! I am also seeing green things come up in my (barren & ugly) backyard but don't know yet if they are weeds or flowers.